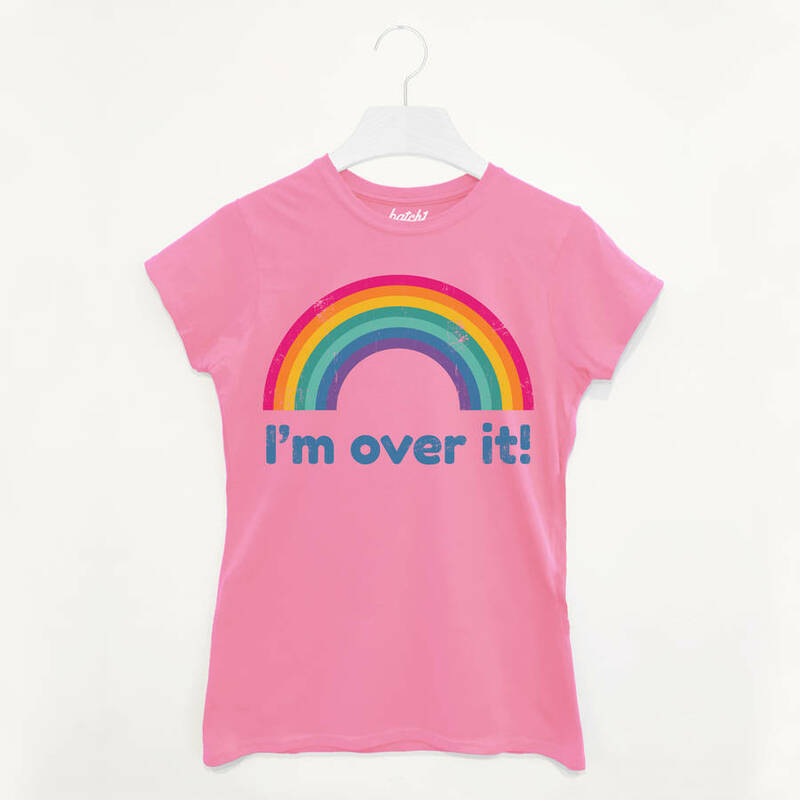 You’ll feel over the rainbow in this cool fashion tee. 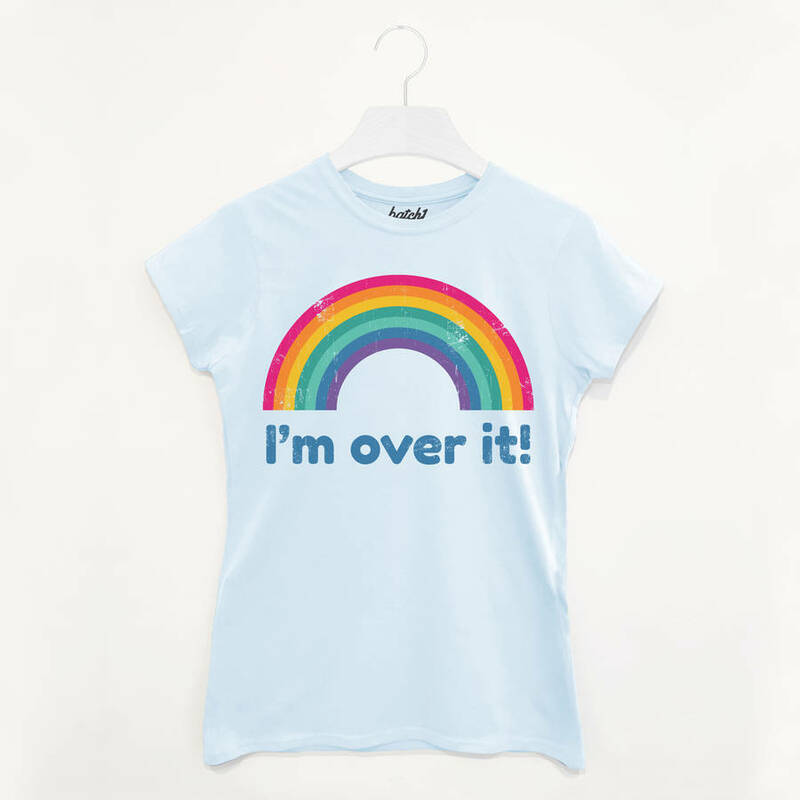 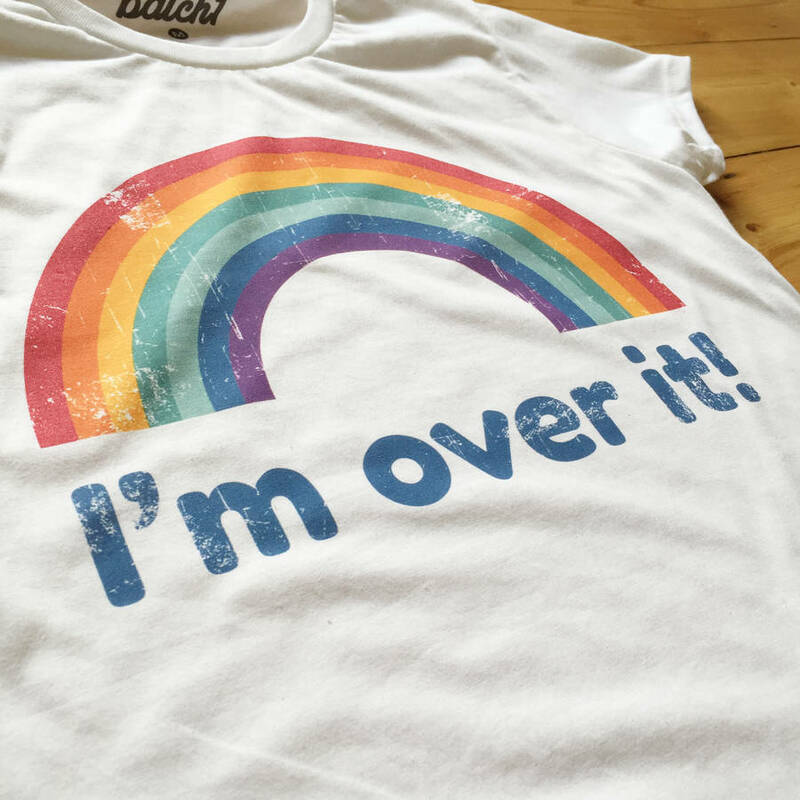 Super-soft women’s fashion t-shirt with I’m Over It slogan print. 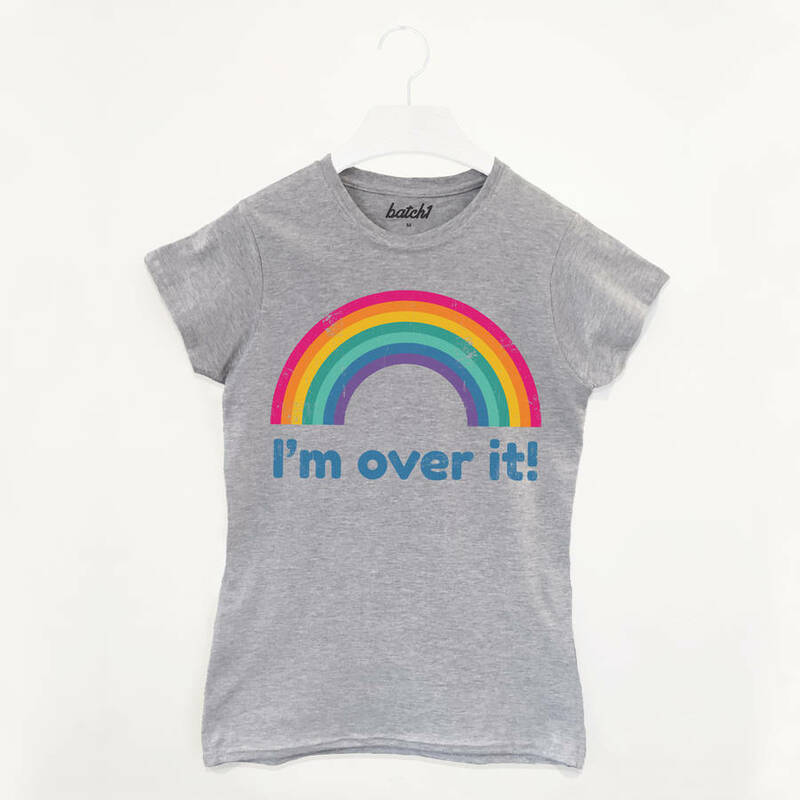 Love the laid-back 70s vibes of this slogan tee with its vintage rainbow print.